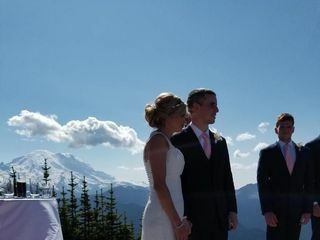 Crystal Mountain Resort is a wedding venue located in Enumclaw, Washington where you can exchange vows with Mount Rainier as your witness. 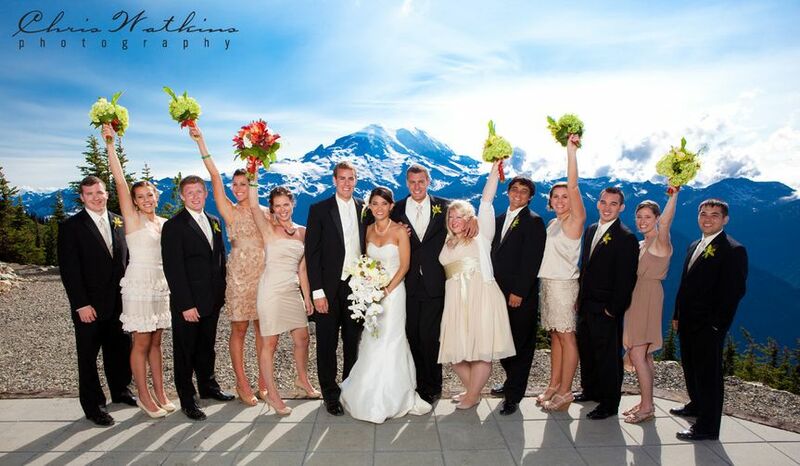 With amazing views of the beautiful Cascade Range and gorgeous alpine scenery, this venue is perfect for an unforgettable celebration. 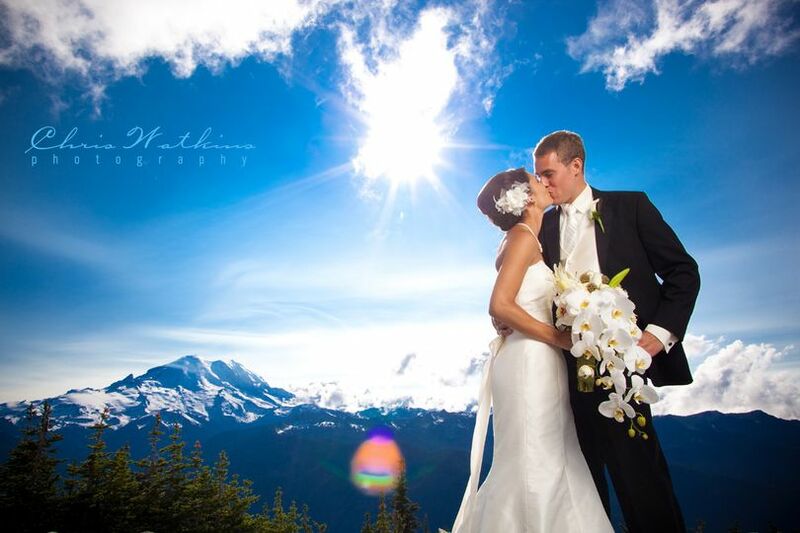 This resort is located at the summit of Crystal Mountain which is 6,872 feet above sea level, creating a scenic and memorable experience for your guests. 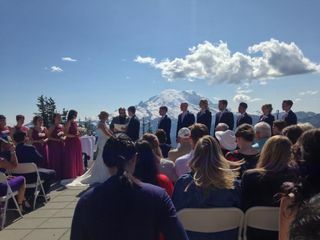 You can have your ceremony on the Mount Rainier platform, where you and 200 of your guests will enjoy a gondola ride up to the top. 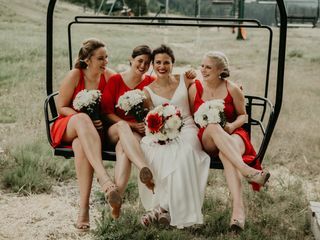 The Bullwheel is a rustic ceremony and reception space located at the top level of the base area lodge, boasting high vaulted ceilings, heavy timber beams and floor-to-ceiling windows with a backdrop of the resort. The Chinook Level is located in the middle section of the base area lodge, creating a large indoor space with an antique ski collection and expansive views of the resort meadow and towering peaks. 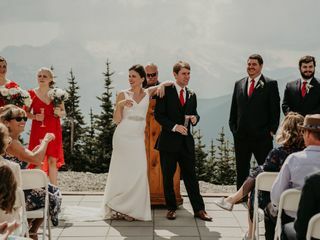 The Sundeck and East Peak Plaza are open-aired ceremony and reception venues located near the base of Mount Rainier Gondola, offering endless views of the Gold Hills, tall mountains and seasonal flowers. The East Peak Plaza is the facility’s largest outdoor venue. The Sundeck has a fireside cafe that offers the perfect area for cocktails, accommodating anywhere from 100 to 300 guests. 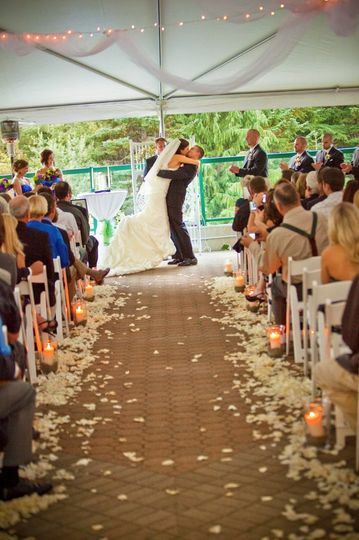 Whether you are planning a wedding of 50 or 400, Crystal Mountain Resort offers a multitude of spaces that can be combined and utilized for a breathtaking event. 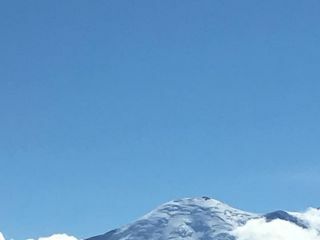 The resort comes with many free time activities that you and your guests can take advantage of, such as hiking, biking and horseback riding. Their banquet manager will ensure that every detail is taken care of so that you get the special day that you deserve. Their staff will help with the setup and cleanup of your event rentals, also offering a preferred vendors list for anything else you may need. This resort comes with fine Northwest catering and special menu creations that are tailored for each event. The culinary team is dedicated to creating healthy and flavorful dishes that are prepared using the freshest ingredients possible. Choose from buffets, plated dinners or standard menus with appetizers, hors d’oeuvres and displays. You can also set up specific bar arrangements that come with bartenders and a fully stocked bar, giving you the option of an open bar or cash bar. I grew up skiing at Crystal, it was a home away from home. Therefore, it was an easy choice for sentimental reasons. But Kalela and her team confirmed my decision at every step. From the communication, to the amazing food, to all the expert advice freely given, I would recommend Crystal ten times over. Extraordinary! 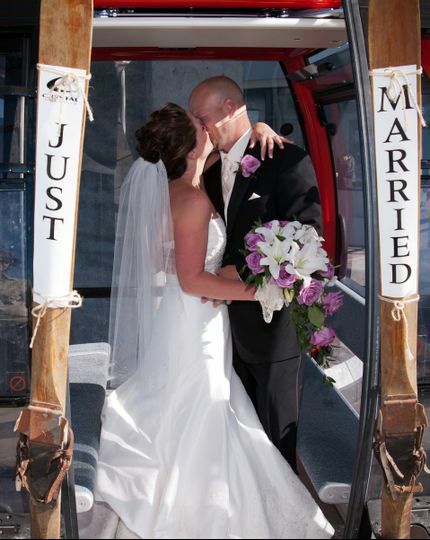 Words can’t capture the degree of joy and delight we have at having chosen Crystal Mt Resort for our wedding! From the first contact with Kalela to the final hug as we left, we felt understood, listened to, and totally supported in all aspects of planning & implementation of wedding details. Our guests repeatedly said, “Best wedding ever!” - a testament to the excellent staff, to Alex who worked magic throughout the weekend making everything run smoothly and seem effortless (though we know it took lots of hard work), to the great chef who had to meet dietary needs of many and managed to please all, to Ron who we dubbed “ the man” because whatever we needed we knew Ron would make it happen! We felt like Kalela and team treated us like family and not just customers using their services. That level of care & commitment cannot be measured on rating scale that stops at 5 stars. Yes, every detail was perfect and exactly as promised, but it’s the intangibles that really make an event special... the knowingness that the team at Crystal wants the event to be as special as you do, the feeling that they have your back no matter what might come up, the palpable positive energy that surrounds every interaction with staff from a smile across the room as you look up from the dance floor knowing that they are as happy as you are to see you having fun, to the genuine offer to carry the last bag of gifts out to the car even though it’s 1:00 in the morning and they’ve worked hard for hours to make the reception perfect! It’s true that you dream about your wedding day for years and hope that it might at least come close to living up to what you’ve imagined...but it’s quite another thing when your wedding day EXCEEDS your wildest dreams of your wedding vision. 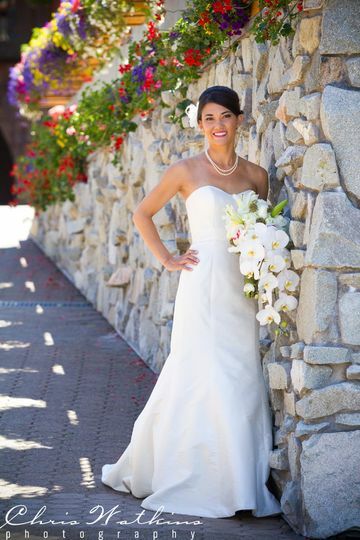 Kalela and team turned dreams into reality for us and we know she can do it for your wedding too! Simply extraordinary! 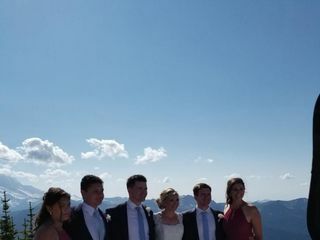 We had the most perfect wedding at Crystal Mountain. 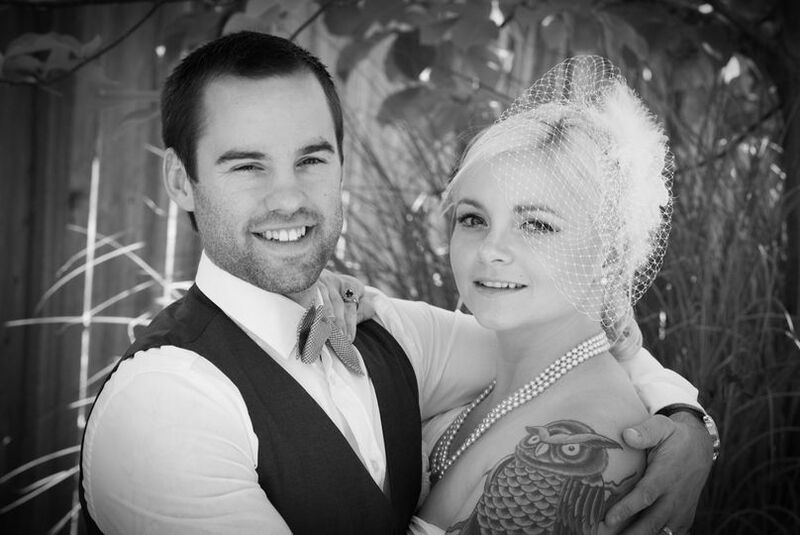 For the six months leading up to the ceremony, Kalela (sales manager) was incredibly helpful and flexible with us. The staff were amazing and kind to all guests. My father mentioned that the bartender even made a point to thank him for the toast. 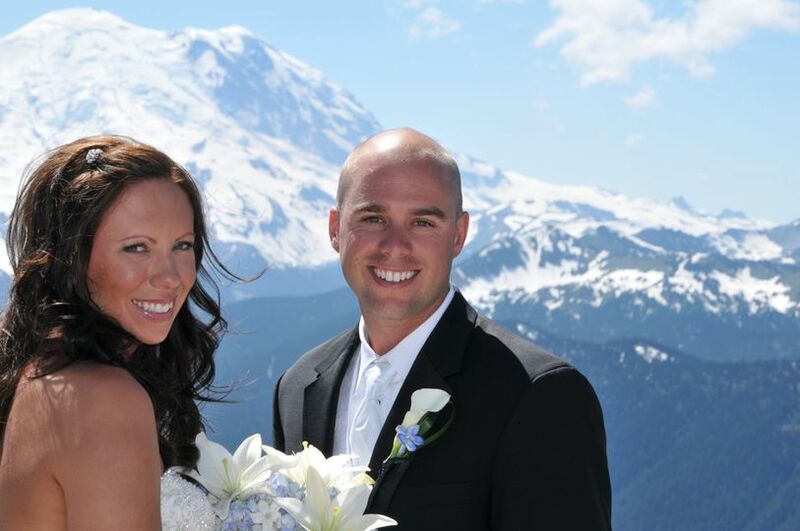 We could not have imagined a more perfect day and we had the most wonderful weekend at Crystal Mountain. 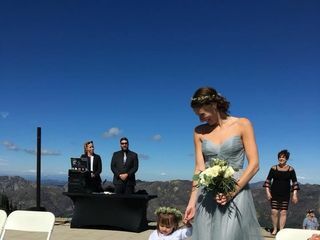 Our out of town family loved having a mini destination wedding and everyone took advantage of the great hiking trails and views. Thanks, Crystal!